I am passionate about Holistic Therapies and the many benefits they bring to each individual client. For me, holistic therapies are a gentle, non-invasive approach to working therapeutically with each individual while also being complementary to conventional medicine. Holistic therapies treat the whole person - whole body, mind and spirit. All aspects of each individual are considered and encouraged. The client remains central to their own healing process and the focus is on promoting individual self-empowerment throughout that process. Having worked in service provision for adults with disabilities and experienced the immense pressure on resources for both client and carer in high level care, I am inspired by a model of health care that is holistic and person centred, promoting and supporting the physical, psycho-emotional and spiritual well being of each individual. I originally trained in Psychology and I integrate this into my work to facilitate a return to that place of "wholeness" for each individual. I work intuitively and my treatments are delivered by what I feel working on the body or at the feet. I also combine other therapies into my treatments where applicable. I trained in Reiki in 2001 and qualified from Walmer college, Raheny in 2002 with ITEC diplomas in Anatomy, Physiology and Massage, Aromatherapy, Reflexology, and Diet and Nutrition. I have also trained in Reflexology in Pregnancy and Childbirth with Mauricio Kruchik (MRTP I). I am currently studying Craniosacral therapy and to date have completed CST 1 and CST 2 with the Upledger Institute. I am accredited with the Association of Registered Complementary Health Therapists Ireland (ARCHTI). I am also a member of the Irish Reflexologists Institute Limited (IRIL), which entitles members of VHI, Hibernian Aviva and QUINN Healthcare a refund on their health insurance. Treatment Packages available for specific conditions include a course of Reflexology treatments, Dietary Advice, Aromatherapy, Relaxation techniqes, Home care advice. Reflexology is a natural healing art based on the principle that there are reflexes in the hands and feet, which correspond to every part of the body. Finger and thumb pressure applied to these reflexes relieves tension, improves circulation and helps promote the natural functioning of the body. Reflexology is suitable for all ages and may bring relief from a wide range of acute and chronic conditions. A Reflexology treatment consists of a 60 minute treatment working the reflex points on the feet. An evaluation of your feet and a personal case history is taken at your initial treatment. A special reflexology blended wax is firstly massaged into the feet followed by treating the reflex points of both feet. Feedback and Home Care Advice specifically tailored to you is provided at the end each treatment. Discounts are available for those who need to book block treatments for their presenting condition. Aroma-Reflexology treatments provided where applicable. Aromatherapy oils specifically blended for you are integrated into the Reflexology treatment allowing you the additional benefit of a multi-therapy approach. Members of VHI, Hibernian AVIVA and QUINN-Healthcare may be entitled to a refund on their insurance (policy dependent). Reflexology helps to realign energies throughout the whole process of pregnancy, promote relaxation, bring about balance at a physical, emotional and mental level and prepare the body for labour. The focus centres on the womans own self-regulating and self-healing capacities. The length of labour can be very much reduced by having regular Reflexology treatments in the weeks prior to the expected delivery date. A treatment plan is built around each individual womans needs and requirements throughout the course of her pregnancy and for the preparation of labour. In conjunction with this treatments focus on the prevention of conditions that can arise in pregnancy alongside treating any that do. Healthy recovery in post partum is essential for the new mother. 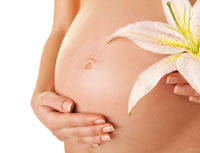 The process of pregnancy, labour and birth will have placed additional demands and stresses on a womans body. After labour the body rapidly begins to recover its own shape and physiology. Reflexology can be hugely beneficial at this time assisting with recovery and healing as well as revitalising and toning up parts of the body that were directly involved in pregnancy and the birth process. A woman may experience a mixture of emotions after the process of labour in addition to making the adjustment in her new role as a mother. Interrupted sleep patterns alongside the demands involved in taking care of a new-born all impact on a womans energy and emotional levels. There will also be significant hormonal shifts as a womans body begins to return to its non-pregnant state. Reflexology treatments are extremely beneficial rebalancing and revitalising the whole body and its systems, and assisting the bodys return to its regular metabolism. Reflexology treatments provide a relaxing, nurturing and healing space for mum to take some much needed time out to take care of herself. The relaxing, nurturing and restorative aspects of Reflexology can assist women with the bonding process of their new baby and provide a smoother and supportive transition in her role as mother. Even if a woman has had a straightforward labour her body will benefit from the rebalancing and restorative qualities of Reflexology. Aromatherapy oils specifically blended for you at this time are also used as part of a post-natal Reflexology treatment to facilitate your healing process, recovery and transition into motherhood. Homecare advice/ recommendations tailored to your needs are also provided to offer additional support. Reiki is a hands on energy healing therapy. Reiki comes from two Japanese words, REI which means universal life energy, and KI which means a key or opening. The Reiki energy is channelled through the therapist's hands to the client where it activates the body's natural ability to heal itself. Reiki assists with healing imbalances and blocks at a mental, physical, emotional, and spiritual level. A Reiki session consists of a 60 minute treatment. Clients remain fully clothed. During the treatment I will place my hands gently over specific points on the body. Certain sensations such as heat, tingling, coolness and/or a deep state of relaxation may be experienced as the Reiki energy is received. As each client and session is unique, I combine bio-energy, chakra, and deep tissue body work, to facilitate the process of healing and change for each individual client. The Kansa Vatki Foot Massage with marma therapy (Indian Acupressure) is a beautiful and relaxing health-care modality, which balances the body, mind and spirit. This unique treatment, steeped in centuries of ceremony, involves the use of a dosha oil which is massaged into the feet and legs. A 3-metal bowl consisting of copper, zinc and tin is used during the treatment to assist with detoxifying and balancing the bodys energies. The massage is deeply revitalising for tired feet and legs, and as the feet contain key energy and nerve endings relating to internal organs, this treatment balances the whole body. The treatment is one hour in duration and begins with a foot spa treatment to allow your feet soften and unwind. The treatment is then followed with some relaxing foot and leg massage performed while you are lying down. Slowly and methodically the toes, feet, ankles and calves are helped to relax. The treatment continues with special moves performed with the small 3-metal Kansa Vatki bowl and is finished with a re-balancing sequence of marma massage (Indian Acupressure). What are the benefits of Kansa Vatki Foot Massage?